Finally, my front gate has arrived. 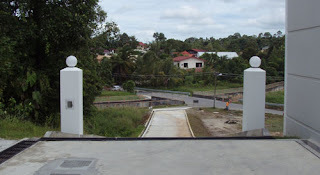 Yes, only front gate or to be precised - MAIN gate. Pagar sekeliling rumah to be done hopefully next year. That gate will be installed here. For now, the gate is operated manually - sorong/tarik.